Recently After Launching The Galaxy J8 And Galaxy J6, Samsung Launched The Upgraded Version J3 (2017) and J7 (2017), The Affordable Smartphone J3 (2018) And J7 (2018) Launched Last Year, In The US. Is. The price Of Both Phones Is Not Yet Disclosed, But According To The Press Release Both Phones Have Been Launched In The Category Of Affordable Prices. Both Devices May Be Available For Sale This Month. Samsung Galaxy J3 (2018), Which Runs On Android OSO OS, Gives You A Display Of 5-Inch HD (720 × 1280 pixels) Resolution. For Photography, An 8MP Rear Camera With f / 1.9 Aperture And A 5MP Self-Camera with f / 2.2 Aperture Imn Front Side Has Been Given. 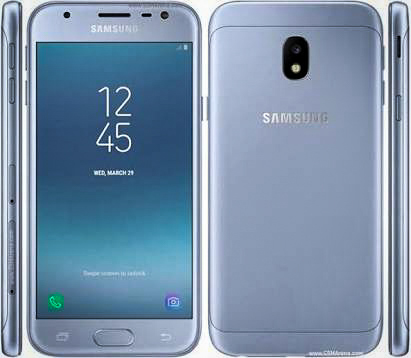 In Samsung Galaxy J7 (2018) You Have A Display Of 5.5-Inch HD (720 × 1280 pixels) Resolution. For Photography, A 13MP Rear Camera With f / 1.7 Aperture And A 13MP Selfie Camera With f / 1.9 Aperture In The Front Side Has Been Given. These Two Samsung Devices Are Offered With Samsung Knox Integration. Apart From This, Samsung + Application Is Also Here, Through Which You Can Get Real-Time Customer Care Support Through Live Voice Chat, Community Support. Battery Capacity Is Not Even Disclosed, But The Company Claims That Both Of These Devices Will Provide You With Long Battery Backup. Justin Denison, Senior Vice President, Mobile Product Strategy And Marketing, Samsung Electronics America Said During The Press Release, "When It Comes To Smartphones, We Know That One Can Not Be Perfect For All Phones At All. Through Our Galaxy Series We Offer The User The Convenience Of Buying A Smartphone According To His Choice And Requirement. He Further Said, "J3 Gives You A Quality Feature At An Affordable Price. 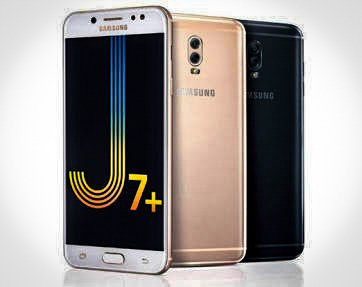 In The Same J7 You Get A Bigger HD Screen And Advanced Camera."